The Fruit Vendor Mini-Doccie is Here! Finally, the long wait is over! 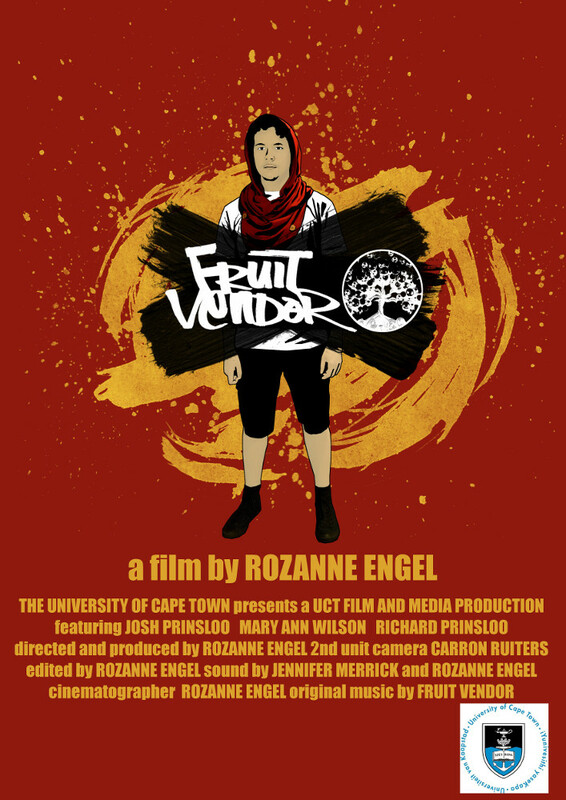 I present to you the Fruit Vendor Mini-Doccie, a film by Ro Su Engel. Starring Fruit Vendor, my aunt Mary Ann Wilson and my dad Richard Prinsloo. Be a Giant and please take 7 minutes, watch it and share the Fruit. If you dig what you see here, this is nothing compared to what is gonna hit you if you come to the Giants EP Launch on Saturday 27th February at Kaleidoscope Cafe in Claremont. The show starts at 8pm! Featuring performances by the smokalicous Eden Myrrh (opening act, backing vocals and keyboards) and the formidable Jerome Rex (opening act and rhymes), underpinned by the solid accompaniment of drummer Jason Skippers, bassist Rosco Keenan Roman, guitar maestro Adrian Rogowski and turntablist DjHearin Aid! My featured hype-man is emcee The Route. Tickets are R100 (Fruit Vendor Street Team), R120 Pre-sale (buy direct from me or any of the band members) and R140 at the door. PS: I’m playing at Kirstenbosch on Sunday, get your tickets before it’s too late. Josh has challenged a number of my comfortable beliefs about living, loving and God. Because whilst Josh is very happy to talk about God stuff in my language, he also talks about God in “God’s language”. And that is universal – that is in his music – his relationships – his living – in Josh. Some months ago I remember reading some of Josh’s words and thinking … “Josh really should write more about God” … in a blog or something like that – maybe for Church Set Free – become another one of “us”. It was not my proudest moment! Because our dear Father whispered lovingly (and with great patience): “Paul, what else do you think Josh does?” Josh lives an abundant life. I am another brother. In Josh’s language – I am a Giant!